at Det Norske Veritas A.S. (DNV), Norway presented the above topic. for a number of different ship types. an adjacent hall in the Maran Tankers Management building. ( from left to right ):C. Kontovas: Exec. Com. Member & Papers Com. 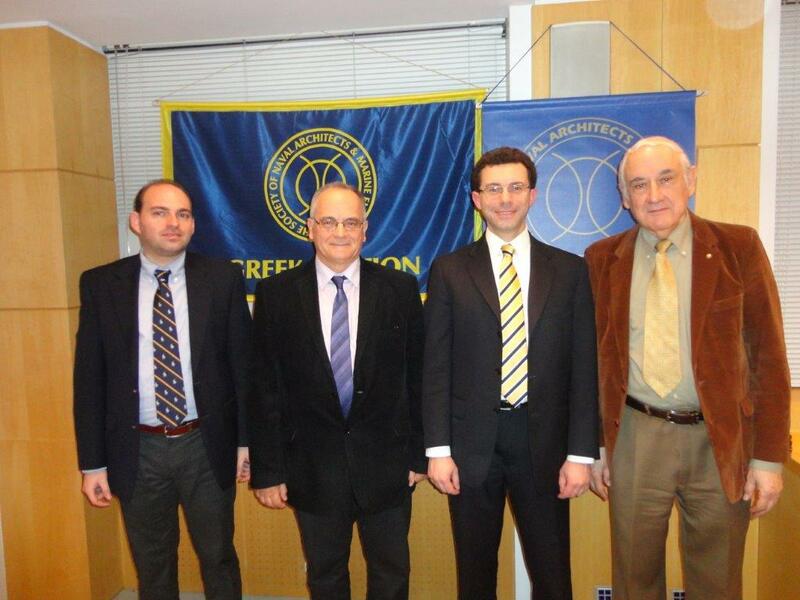 Chair;A. Papanikolaou, Chair; C. Chryssakis, Author;P. Lalangas, Secretary / Treasurer.